The Intra-Disciplinary Seminar (IDS) Public Lecture Series presents a lecture by Ramzi Kassem entitled "Guantánamo or the Limit of Law." It is free and open to the public. Ramzi Kassem is professor of law at the City University of New York where he directs the Immigrant & Non-Citizen Rights Clinic and is the founding director of the CLEAR project. With his students, he represents prisoners of various nationalities held at Guantánamo Bay and other American detention facilities worldwide, New Yorkers and others of all stripes who find themselves in the crosshairs of the sprawling U.S. security state, as well as immigrants and asylum-seekers. Before joining the CUNY law faculty in 2009, Kassem taught at Yale and Fordham. His interests include issues at the intersection of law and security, the legal and policy responses to the September 11th attacks and other real or perceived national security crises, the rights of minorities and non-citizens, and international humanitarian law. 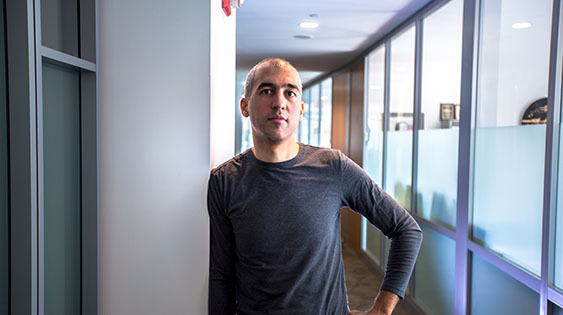 Kassem is a graduate of Columbia College and holds law degrees from Columbia Law School, where he was a Senior Editor for the Columbia Law Review, and from the Sorbonne.